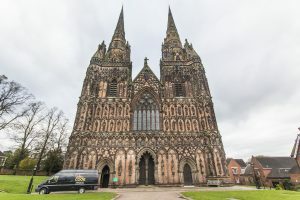 Code Audio Visual was recently asked to provide the technical aspects to an award ceremony at Lichfield Cathedral. 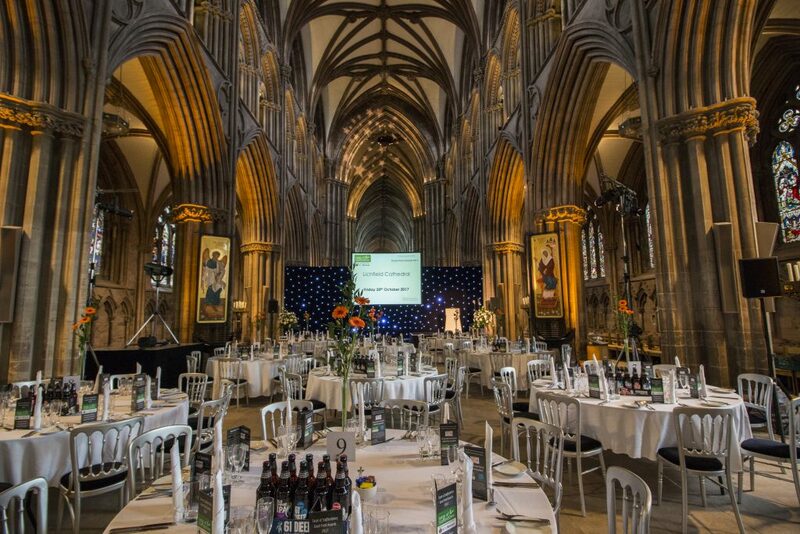 We transformed the Medieval Cathedral within the clients budget, with all the guests talking about how spectacular the venue looked. We used our large 12′ x 9′ for the main projection screen and projected in glorious high definition. We finished the backdrop with LED star cloth; perfect for an awards ceremony. Wireless LED uplighters enhanced the cathedrals columns. As an extra touch, we also projected stars on to the ceiling. 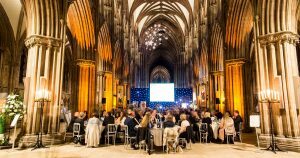 Guests described the atmosphere online as ‘awe-inspiring’, ‘special’ and ‘amazing’. To ensure everybody could hear clearly, we installed a multi-speaker PA system, fed by the latest in wireless audio technology to keep all the walkways clear from cables. There were a total of 12 awards at the event. Complete with an amazing meal, the attendees and organisers were well pleased.